R.S. Hanline & Company, Inc. (“Hanline”) is a leading value-added processor of fresh vegetables including potatoes, tomatoes, and onions serving over 150 customers in the restaurant and grocery industries located primarily in the South and Midwest. MelCap Partners acted as financial advisor to Hanline in refinancing its existing senior indebtedness. 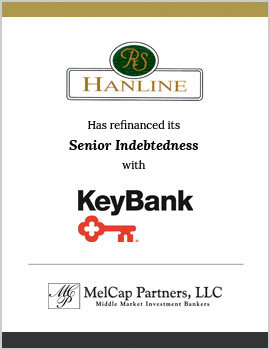 Hanline obtained a Revolving Line of Credit and Senior Term Note from KeyBank.